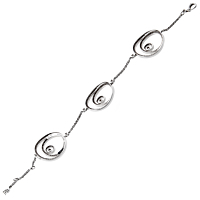 This elegant Audemars Piguet bracelet is a gorgeous piece that will stand the test of time. The timeless and classic Millenary design is made complete with round brilliant cut diamonds in 18k white gold. 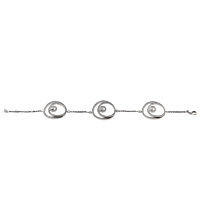 This bracelet features three gorgeous pendants connected by an 18k white gold chain and fixtures.